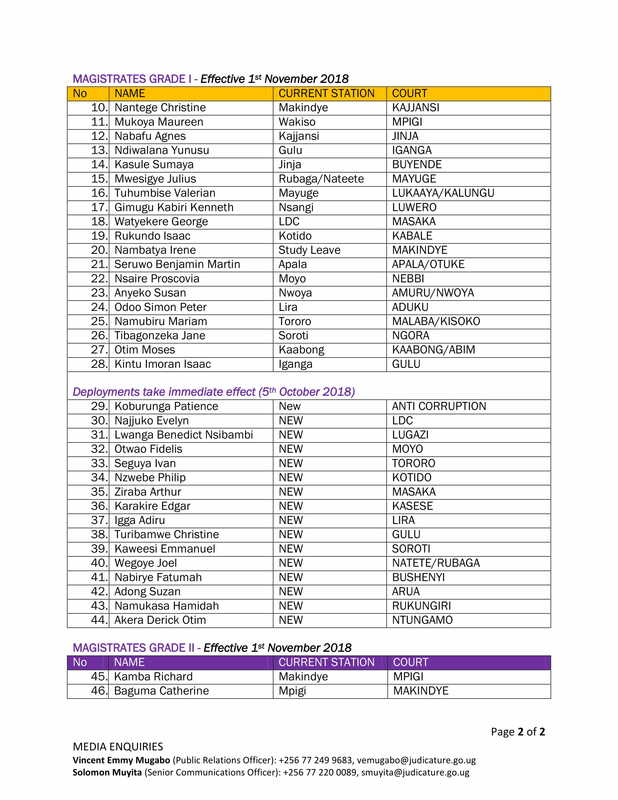 KAMPALA – The Judiciary has transferred at least 46 judicial officers including court Registrars and Magistrates to different courts across the country to reduce case backlogs. 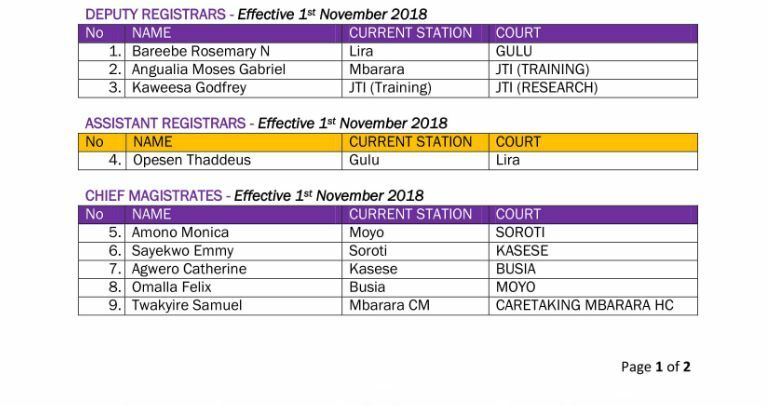 In a circular dated October 5, Esta Namboyo, the Chief Registrar, said the officers newly deployed to different courts around the country are the 16 Magistrates Grade One who were recently appointed by the Judicial Service Commission. The deployed team was sworn-in by the Chief Justice, Bart. M. Katureebe, on Friday last week. She also said the newly deployed officers have to move with immediate effect.